All plants need water. Some use interesting strategies to stay alive, notes Charles Cody, a WSU greenhouse manager. 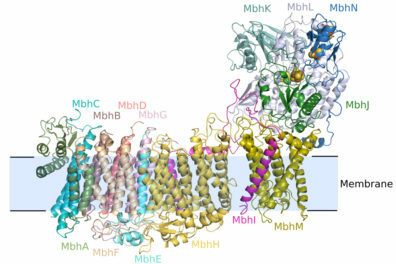 Ancient microbes that thrive in some of the world’s most extreme environments and modern-day humans have more in common than meets the eye. Dear Dr. Universe: Why are animals symmetrical? About 99 percent of animals have bilateral or two-sided symmetry. Find out why. WSU researchers have enhanced the development of a low-cost, portable laboratory on a phone that can detect common viral and bacterial infections. Dr. Universe: Why is broccoli good for you? Broccoli is one of nature’s superfoods. It’s also what got WSU pharmacy professor John Clarke a PhD. Trekking through the rain forests of Honduras, Travis King set up traps to catch jaguars and other wild animals with his cameras. WSU architecture students installing parklet in Spokane’s Garland area that’s designed to encourage community building. WSU scientists discover coho salmon die, chum salmon survive in polluted stormwater. 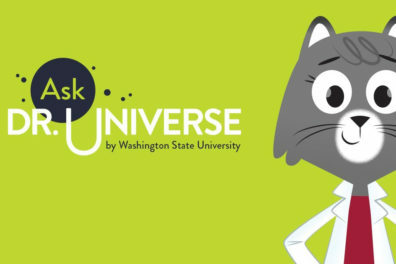 Ask Dr. Universe: Where did the first nerves come from? If we lined up all the nerves a body has, they would stretch for almost 45 miles. A keynote address by inventor and entrepreneur Edmund O. Schweitzer capped a daylong tribute to the partnership that has developed between WSU and the company he founded. From health to environment, support from Schweitzer Engineering Laboratories helps WSU students envision a brighter future for people and the planet. WSU engineering students will help Northeast Brazil to measure something its people can’t see but need to protect. 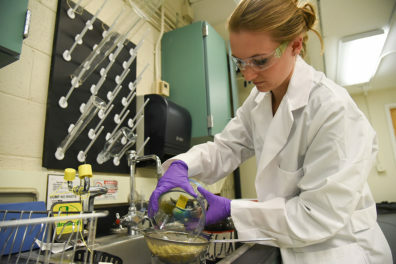 WSU and the Department of Energy’s Pacific Northwest National Laboratory are creating three joint institutes to improve bioproducts, the power grid and nuclear sciences.